Didn’t get an invitation to Harry and Meghan’s royal wedding? No worries! Another royal wedding is coming soon, and this time you’re definitely invited. The combined viewership in America and the UK for Harry and Meghan’s big day was nearly 50 million people, which was pretty impressive. 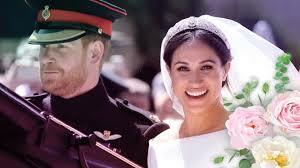 But, in contrast, the next royal wedding is sure to be seen by billions. While much has been made of Meghan Markle’s biracial identity, the upcoming wedding will feature a bride wonderfully composed of “EVERY tribe and language and people and nation” (Revelation 5:9 NIV). Now THAT’S multiethnic! What a spectacle it will be. Like Meghan, the new bride will be a commoner in comparison to her dazzling Prince. She won’t of noble birth, nor will she be considered wise or influential by human standards (1 Corinthians 1:26-29). A scandalous royal wedding indeed! Yet love is seldom rational. And more than any other wedding in human history, this will most certainly be a wedding characterized by everlasting, unconditional LOVE. Hallelujah! For our Lord God Almighty reigns. Let us rejoice and be glad and give him glory! For the wedding of the Lamb has come, and his bride has made herself ready. Fine linen, bright and clean, was given her to wear (Revelation 19:6-8 NIV). Notice that the bride “has made herself ready.” As with any bride, this may take some time! But in the end, we can be confident that she will be a beautiful sight to behold. Friend, the invitations have already gone out for the upcoming royal wedding. And you’ve been invited this time! However, there’s something you need to understand: Nothing you could ever do could make you worthy to attend this astonishing wedding. In fact, access is strictly limited to those who recognize their unworthiness. But thankfully, it turns out that the handsome Prince first came as a Lamb, shedding His own blood to forgive your unworthiness and purchase your ticket to the wedding. Here comes the Bride! You better get ready. This entry was posted in Inspiration and tagged forgiveness, grace, prince, royalty, wedding. Bookmark the permalink.